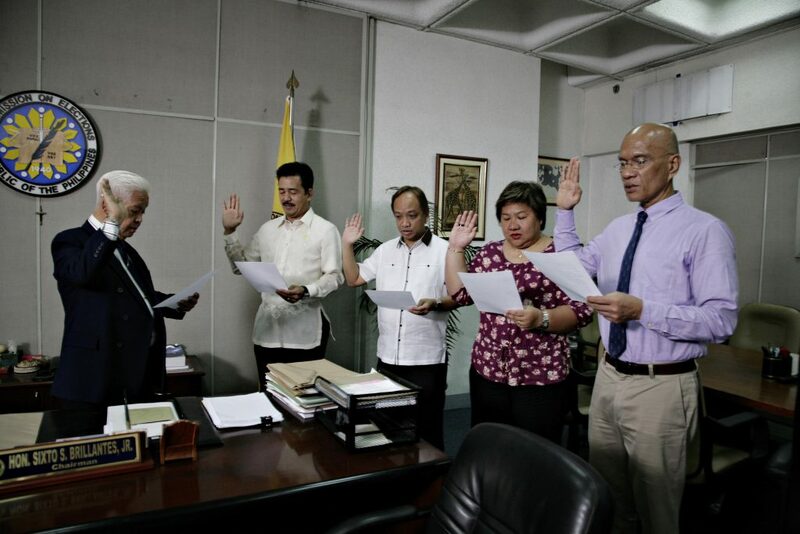 Commission on Elections (COMELEC) Chairman Sixto S. Brillantes, Jr. officiated the Oath of Office of the officers of the Association of Political Consultants in Asia (APCA) at the COMELEC today. APCA is a group of professionals working in the Philippines and in Asia that are actively promoting politics, public affairs, government relations, and other similar professions involved in the practice of political consulting. Vice-President for Public Affairs of the University of the Philippines Prospero E. De Vera III is the President of APCA. “What we are trying to accomplish with APCA is the professionalization of the practice of political consulting in the country and in Asia. We believe that in this manner, we are helping future candidates distinguish the legitimate political consultants from the rest. Members of APCA will have to adhere to the standards and practices set forth in our Code of Professional Ethics,” De Vera said. 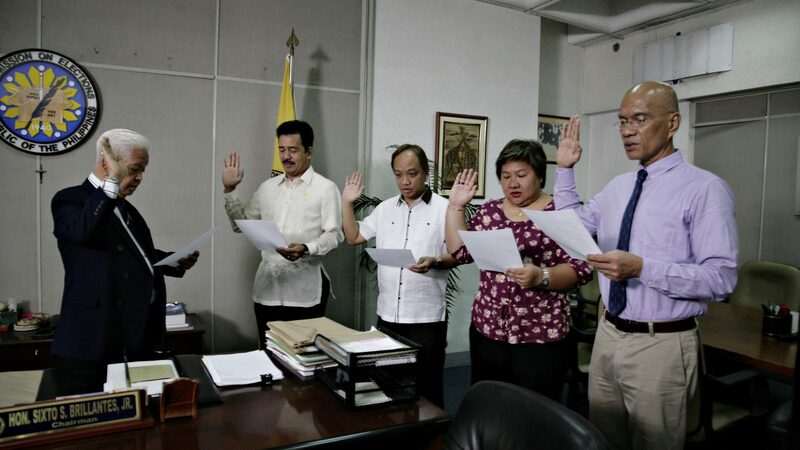 The other officers of APCA include Politstrat CEO Jose P. Leviste, Jr. (External Vice President), Political Science Professor Sergio Andal, Jr. (Internal Vice President), PUBLiCUS Asia, Inc. Founder/General Manager Malou N. Tiquia (Secretary) and Campaign and Election Management expert Manuel S. Tabunda (Treasurer). “Through APCA, we hope to create a network of political consultants in the Philippines and in Asia, conduct campaign seminars that will feature local and international political management experts, introduce and use technologies in campaigns, and recognize the best practices of political consulting in Asia,” Levisted added.